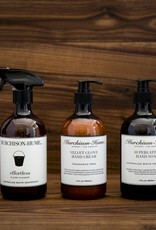 Murchison-Hume was founded on the notion that luxury and practicality can co-exist happily at the kitchen sink. 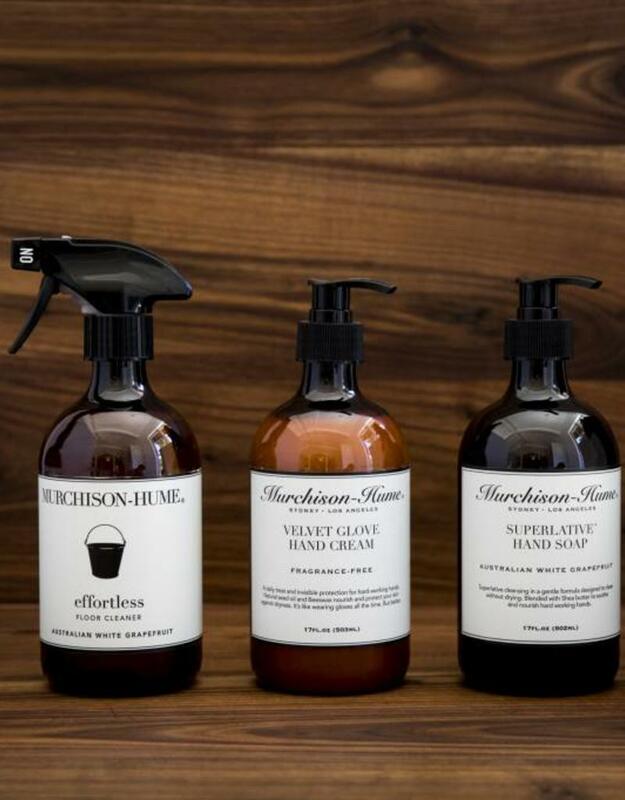 The company’s eco-friendly products, with their brown glass apothecary-style bottles and whimsical labels, mix grime-busting formulas with seasonless citrus blossom scent of Australian white grapefruit—a Murchison-Hume signature. Safe on any surface not harmed by water, such as Granite, Marble, Finished Wood, Tile, Laminate, & Plastic. 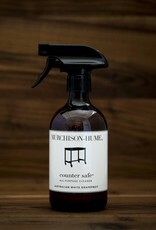 Perfect for Countertops, Walls, Tabletops, Food Prep Areas, High Chairs, & Toys. Spray liberally and wipe clean with a sponge or polish dry with a lint-free cloth. 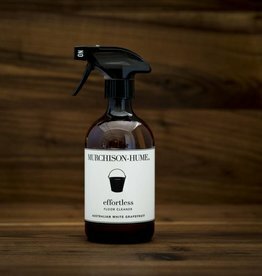 Regular use on high traffic areas like doorknobs, light switch covers and TV remotes will keep the bacteria count down and the whole house smelling fresh. 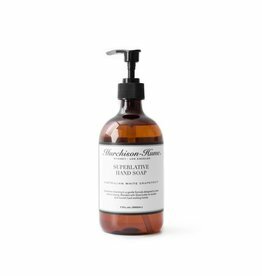 This product is people, pet, & plant friendly when used as directed. Even so, please exercise caution. Do not ingest, avoid contact with eyes and please keep out of the reach of children. Made with highly recyclable PET plastic. Please refill, reuse, or recycle.